ARC'TERYX was founded in Vancouver, BC, Canada in 1991, where it maintains its Worldwide Head Office, design studios, and main manufacturing facilities. Driven by innovation, ARC'TERYX was founded to build better gear. They didn’t just focus on incremental advancements, but on radically improving the status quo. They began with climbing harnesses and then proceeded to tackle packs and apparel with the same single-minded obsession for creating the lightest, best performing, and highest quality products available. To realize our vision they’ve created groundbreaking new construction technology, developed paradigm-shifting designs and harnessed major fabric technology developments. The resulting deluge of recognition, and mimicry, has cemented their reputation at the pinnacle of the outdoor world. Their designers strive not to better the competition, but to challenge assumptions about how outdoor products should be built. Their visionary thinking is fused with proprietary construction processes and unrivalled craftsmanship to create the best outdoor gear made. 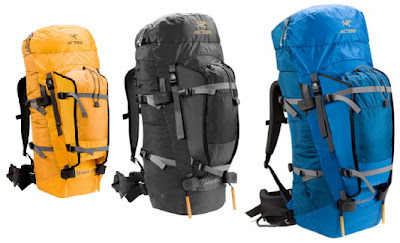 Regardless of product, by selecting this brand you're insured that your ARC'TERYX product will be one of the most innovative and superbly crafted packs, harnesses or mountain apparel pieces available. As the next season arrives, they continue to raise the bar for the industry by introducing superior advancements in fit and fabrics, and revising and developing new products. A concentrated mountain core quests for new horizons, and they work feverishly to supply innovative solutions. We refine, tailor and hone until revolutions emerge. Intrinsically linked with the future, they passionately stoke this evolution in action.